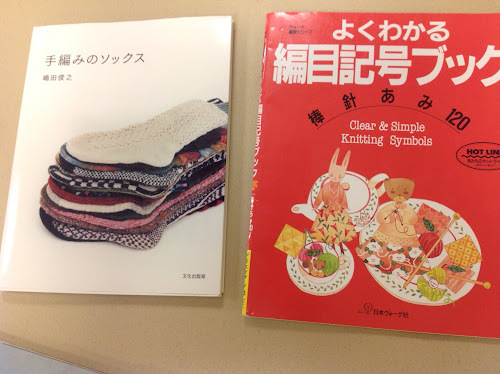 My post from yesterday was notes made by Donna Druchunas from the Windy City Knitting Guild class that she taught on making socks from Japanese pattern books. Having looked at these pattern books in the past, and marveling at the gorgeous patterns, I was excited to take a class that would demystify the instructions and allow me to work from and be inspired by theses pattern books. Donna did a fantastic job, I can't compliment her teaching techniques enough. We will be heading to Japan soon to visit Ethan and now I am on the hunt for pattern books. I can’t imagine working off of a Japanese pattern. You are brave to even consider it!